File photo of cops being attacked during a recent operation. Police have launched a search to find a group of persons who last Friday attacked and hurled stones at members of a police team as they went to carry out an operation in the Discovery Bay area. 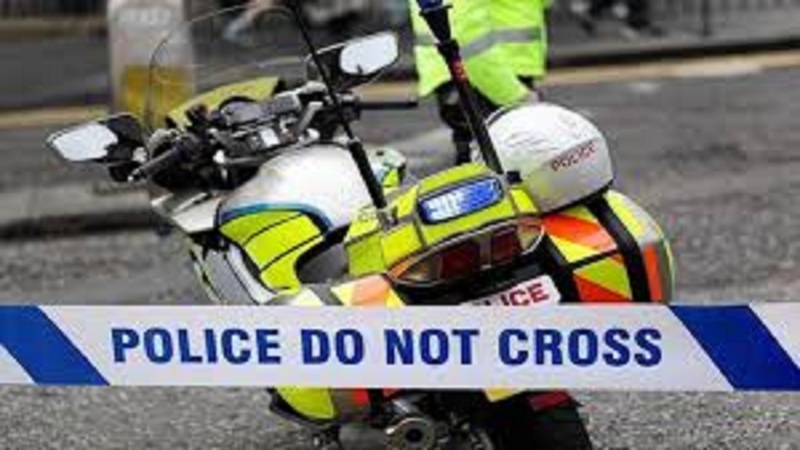 Police, fearing for their lives, said they had to take action to protect themselves but this was not before the service vehicle they were travelling in was damaged. 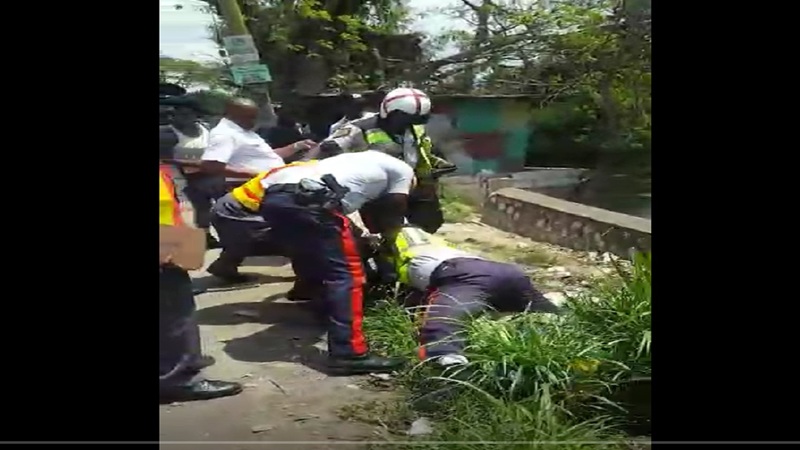 Police say they believe the attack, which ‘residents’ claimed was a protest, is the latest in the emerging practice by some criminals to use members of the public to interfere and block law enforcers from carrying out their duties. 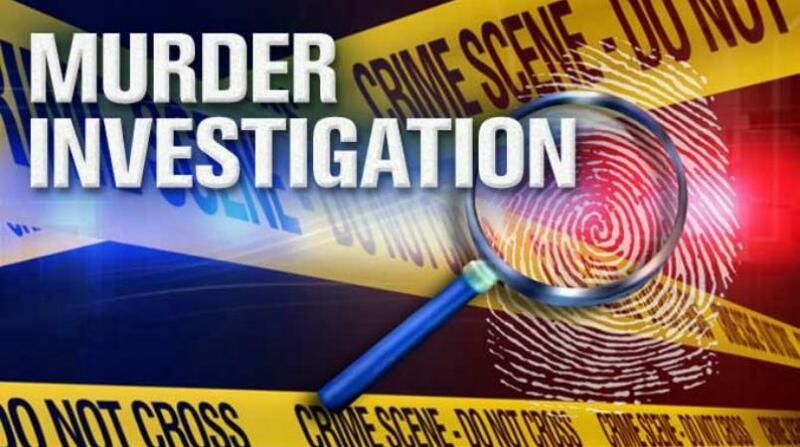 Reports reaching Loop News are that about 4:00p.m., members of a police team were on patrol in Thicketts area of Discovery Bay when they saw a heavily tinted black Toyota Corolla motorcar passing and signaled the driver to stop. Reports are that the driver disobeyed and sped away into the mentioned community. Police said they gave chase but a few seconds after following the vehicle they saw the driver stop close to a dirt track in the area and three occupants, one male and two females alighted from the vehicle and fled into bushes. Police reported that they continued to pursue the occupants of the vehicle, this time on foot. Reports are that while trying to escape one of the females fell and received several bruises. Citizens in the area saw what was happening and converged at the scene and began to chastise the police officers for their pursuit of the occupants of the vehicle. Police said the situation got worse as the residents began to hurl stones at members of the team forcing them to seek refuge behind the service vehicle they were travelling in. During the attack stones that were thrown at the police team caused damage to a section of the vehicle, police said. 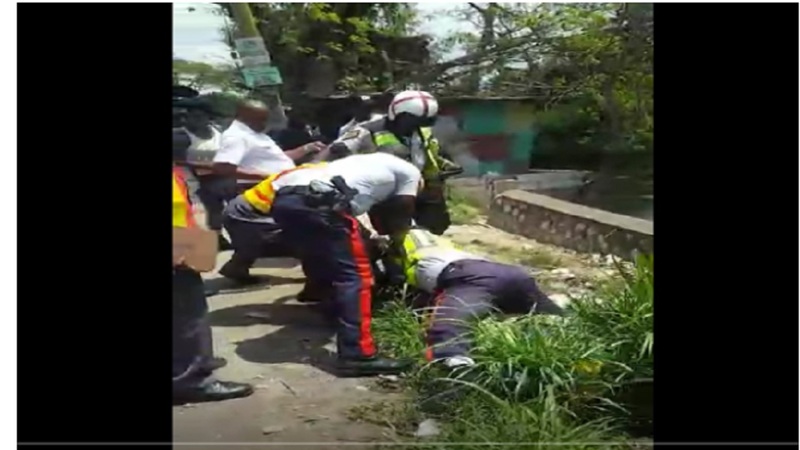 Reports are that as the team of unruly residents came closer a police man pulled his firearm fired two rounds in the air. The crowd dispersed. Reports are that because of the action of the residents the occupants of the vehicle escaped. Police have since launched an investigation to find some of the residents who organized the illegal protest.